David Wayne Tice, 69, of Newark, passed away January 27, 2019, at his home. He was born September 6, 1949, in Newark, to the late Noah and Betty (Keiser) Tice. David was an amazing foster parent for Licking and Franklin County for 40 years. He touched the lives of many children. He worked for Licking Valley Schools for 11 years. He loved John Wayne movies and action movies. 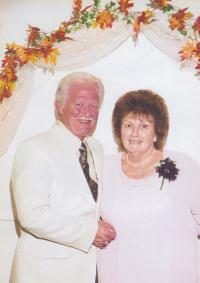 He was blessed with 43 years of marriage to Shirley Tice of Newark; 10 children, Mike (Cathy) Evans of Utica, Chuck (Tammy) Evans of Newark, Tom (Ann) Evans of Utica, Jeff Evans and Cheryl Goodman of Newark, Melissa Daniels of Newark, Shia (David) Glasmeier of Heath, James Tice and Hayley Cole of Newark, Diane Smith of Newark, Nikki Tice and Mike Kenzel of Newark, and Maryanna Houston of Newark; 25 grandchildren, and 27 great-grandchildren, and 3 great-great-grandchildren, whom he loved and was very proud of and many special friends. In addition to his parents, he was preceded in death by his wife, Shirley Ann Tice; 1 great- great grandchild, Charlie Evans; and two sons, Tom Evans and Chuck Evans. Memorial contributions may be made to Nationwide Children’s Hospital Oncology Unit, 700 Children’s Dr. Columbus, OH 43205. A memorial service will be held Monday at 3:00 PM at the Brucker and Kishler Funeral Home, 985 N. 21st St. Newark with Pastor Wally McLaughlin officiating. A Celebration of Life memorial service for Lewis “Butters” A. Clark, 86, of Newark, will be held at 11 a.m. Thursday at Crossroads Christian Church, with pastor Jeff Camp and pastor Cory Campbell officiating. Military honors will be conducted by the Licking County Veterans Alliance. Family will receive friends from 2 to 8 p.m. Wednesday at the Church, 11784 Marne Rd. Newark. After battling the effects of cancer treatments, Lewis passed away peacefully at home on February 2, 2019, with family by his side. He was born June 3, 1932, in Fallsburg, OH, to the late Lester and Mabel (Davis) Clark. Lewis served in the Army from August 1950 to August 1952, as a psychiatric technician. He was board of directors for Ohio State Grange Mutual and trustee for Mary Ann Twp. 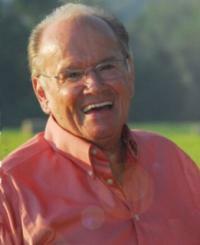 Lewis was the former owner of Rocky Fork Grocery Store. In 1966 Lewis started the insurance business in the back of his little grocery store, where he relocated in Newark where it remains today. Lewis and Emilee worked for years together until 2016 and his daughter Cyndi continues to operate the agency in his name today. He loved everything outdoors from painting, mowing, and swinging on the front porch with his wife and grandchildren. Just about every Sunday in the summer you would find him getting out the tractor and wagon, loading up the grandkids and driving crazy making everyone squeal with delight and sometimes fear. Lewis never met a stranger. He is survived by his loving wife of 61 years, Emilee (Keaton) Clark; daughters, Cyndi (Mike) Lane, Sheri (Eric) Everhart, and Kim Clark; eight grandchildren; twenty-two great-grandchildren; brother, Jack (Janelle) Clark, and sister, Betty (Ray) Thompson. In lieu of flowers, contributions may be made to Crossroads Christian Church. 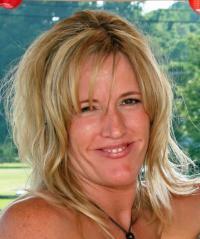 Lisa Michelle Murray, age 50, of Newark, passed away on Sunday, February 3, 2019 at the Selma Markowitz Care Center. She was born on October 21, 1968 to Charles Wills and Georgia Simpson in Goldsboro, NC. Lisa loved being outdoors, especially on the ocean. She enjoyed fishing, boating, and swimming. She is survived by her parents, Charles (Lucila) Wills and Georgia Simpson; sisters, Danielle (Kenneth) Brown, Rachael Ristow, Jessica Wills, Jennifer (Bryant) Bair, and Elizabeth Green; husband, Jack Murray; uncle, Larry Wills; and numerous nieces and nephews. She also leaves behind many loving friends and her fur kids, Shelby, Georgie, and Harley the pig. In accordance with her wishes, no services will be held.